Marjorie Hope Nicolson was born in Yonkers, New York, a daughter of Charles Butler Nicolson, editor-in-chief of the Detroit Free Press and his wife Lissie Hope Morris. She received her bachelor's and master's degrees from the University of Michigan and then earned a Ph.D. from Yale in two years. She did post-doctoral work abroad and at Johns Hopkins from 1923 to 1926. She worked for her father's newspaper for a while as a drama critic before teaching literature at the University of Minnesota, Goucher College, and Smith College. 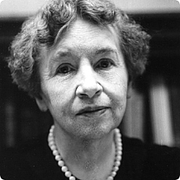 In 1940, she became the first woman president of Phi Beta Kappa Society. After she joined the faculty of Columbia University in 1941, she became the first woman to be a full professor at an Ivy League university. She taught at Columbia until 1962, eventually becoming chairman of the graduate department of English and Comparative Literature. She was president of the Modern Language Association in 1963. As an authority on 17th-century literature and thought, Professor Nicolson was the author of numerous books, including the prize-winning Newton Demands the Muse (1946); The Breaking of the Circle (1950); Science and Imagination (1956); and Pepys' Diary and the New Science (1965). She was awarded the Pilgrim Award from the Science Fiction Research Association in 1971 for her pioneering work in the relationship between science and literature. Marjorie Hope Nicolson is currently considered a "single author." If one or more works are by a distinct, homonymous authors, go ahead and split the author. Marjorie Hope Nicolson is composed of 4 names. You can examine and separate out names.